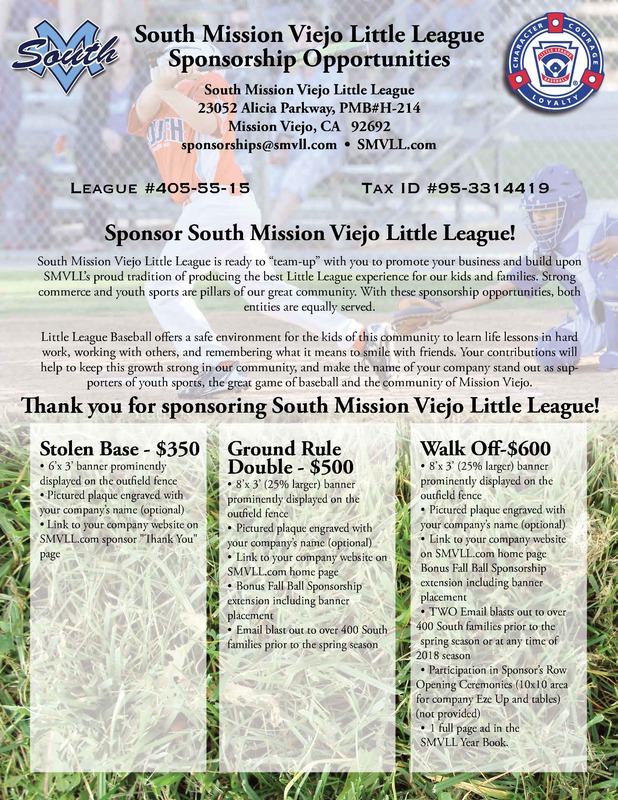 South Mission Viejo Little League is proud to offer many ways to contribute and be a valued sponsor of our league. We have an great community of families that are at the fields regularly for practices and games. 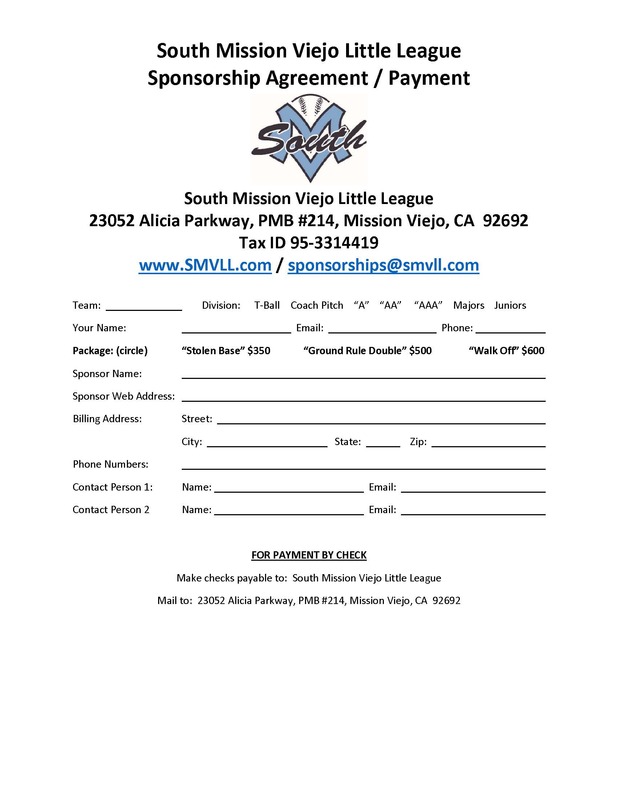 In addition, based on sponsor level, there are many opportunities to interact with our league community by participating at events during our Opening Ceremonies, and throughout the season.